Two-way private text messaging for satellite users. 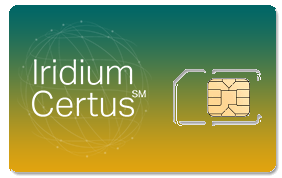 OCENS offers competitive rates on both Prepaid and Postpaid airtime plans from Iridium. If you are looking for airtime for your fleet of Iridium phones, please contact us and we can assist you in putting together a package to simplify your account management.